Completion of an eLearning course does not guarantee its success; a high score in the assessment does not mean that learners have gained a thorough understanding of the subject. So, as a training manager, how do you judge if the online course that you’ve rolled out has an effective assessment? Here comes the solution. Applying learning analytics can work wonders in gauging the effectiveness of assessments included in online training programs. The insights produced by learning analytics, can be used to improve assessments. 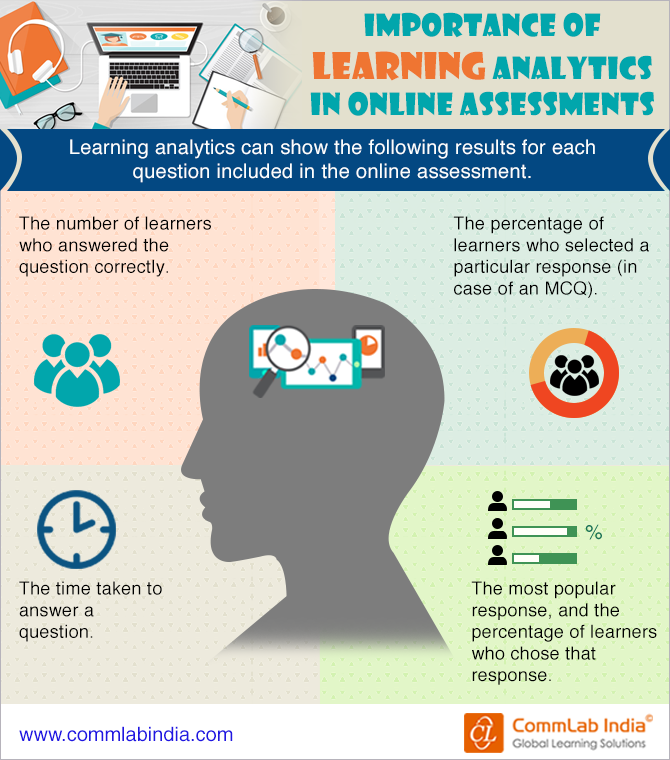 Check our infographic to know the role of learning analytics in online assessments.